Turmeric for Oral Health and Tooth Whitening? On a daily basis, dental professionals hear about strange home remedies for tooth and gum health and whitening ranging from coconut oil to charcoal, and now turmeric. Turmeric is a bright yellow root often used in cooking, but it has also been used for medicinal purposes. Although generations have used turmeric as an antimicrobial and anti-inflammatory agent, no clinical findings are available stating its effectiveness or safety. The anti-inflammatory and anti-microbial properties of turmeric are thought to promote the reduction of inflammation and harmful bacteria in the mouth. The abrasiveness of turmeric is assumed to be the whitening property. There are several ways to incorporate the use of turmeric for oral health and whitening. It’s available through pastes, teas, mouthwash, and chewing gums. The most common use is pastes sold in stores and on the internet, but many people prefer to make their paste from turmeric powder, baking soda, and coconut oil. People report that the paste tastes horrible and stains everything. Abrasiveness- Turmeric is very abrasive. Using a high-level abrasive twice per day for any length of time is detrimental to the enamel. Staining- Turmeric stains everything it touches. It also stains the teeth after brushing or chewing it for up to an hour after use making it inconvenient to be around other people until the staining fades. No fluoride- Most, if not all, turmeric products don’t contain any fluoride. Fluoride is essential in the prevention of cavities and using products without it greatly increases the incidence of decay. Contraindications- individuals with gallbladder disease, gastroesophageal disease, and blood disorders shouldn’t use an abundance of turmeric because it can cause problems such as increased bile production, increased acid production, and clotting difficulties. Lack of clinical studies- there are no verified clinical studies based on the effectiveness or safety with the use of turmeric for oral health and whitening. Whitening success- for teeth to whiten, there has to be an oxidant effect by hydrogen or carbamide peroxide, and neither is Turmeric relies on abrasiveness to achieve whitening, and that can be destructive to enamel. Although turmeric is popular, no clinical findings state its effectiveness or safety. We do know that because turmeric is highly abrasive, it’s certainly not safe to use long-term. The best way to keep your mouth healthy and your teeth white is to visit your dentist at least every six months for a cleaning and exam and follow their recommendations for home care products and whitening. How did the Pilgrims and Native Americans care for their teeth? 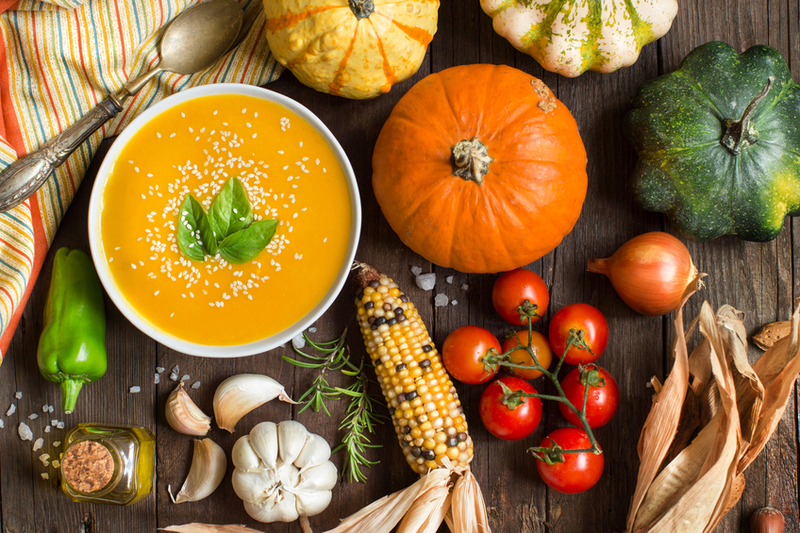 Thanksgiving is quickly approaching, and today we’re looking at how the Pilgrims and Native Americans cared for their teeth. As you can imagine, there were no dentists, and oral health wasn’t a top priority. First, we’ll take a glimpse at the Pilgrims. They spent a lot of time on ships which directly affected their diet, and in turn, affected their oral health. They ate preserved food like dried fruit, hard biscuits, and salted dried meats. These types of foods are harmful to the teeth and promote bacterial growth responsible for tooth decay, gingival issues, and periodontal disease. The Pilgrims were technically more advanced than the Native Americans, but most didn’t have a toothbrush. The available toothbrushes had a bone handle and hog hair bristles and were used by the upper class. Toothbrushes became popular a century after the Pilgrims landed in America. The Pilgrims drink choices may have been even more detrimental than the food. Water was avoided because it wasn’t clean and led to sickness and even death. Therefore, wine and beer were consumed. Neither was ideal for a healthy mouth, but the wine was more harmful because of the high sugar content and high acidity level causing break down of the enamel and decay. The Native Americans, on the other hand, had decent teeth and gums, and like the Pilgrims, it was directly related to their diet. They were hunters and gatherers and lived off the land. Their food sources consisted of corn, wild game, squash, beans, fish, fruit, and nuts. Everything they consumed was high in fiber and wasn’t refined, so there was a lot of chewing resulting in plaque removal. The Native Americans didn’t have access to toothbrushes, but that didn’t stop them from taking care of their teeth and gums. They chewed on twigs and fresh herbs to clean their mouth. The twigs were shaped to resemble a toothbrush on one end and a toothpick on the other end. As you enjoy Thanksgiving with your family, be grateful for all you have including access to oral health care, and don’t forget to brush and floss after the big feast. What does the schedule look like today? 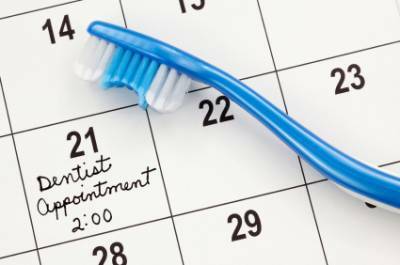 “What does the schedule look like today?” is the first question asked in the dental office each morning, and if you have no idea what the day holds, it may be time to take a closer look at how you’re being scheduled. All team members should be trained in the art of scheduling, but it’s usually the responsibility of the front desk. With a little practice and patience, your office can run like a well-oiled machine maximizing production while minimizing inconvenience to the patients and the team. Which schedule below looks familiar? Pandemonium- There’s absolutely no organization to the schedule, no one’s in charge, and no regard is given to the doctor’s or patient’s time. Guidelines for scheduling probably don’t exist and the amount of time necessary to perform treatment is disregarded. The entire team runs behind and never recovers. Most times, there is no lunch break, and everyone works past closing only to come in the next day and repeat the entire process. This schedule is absolute chaos, and it’s very stressful. Patients may not receive the standard of care because everyone’s always in a hurry. Somewhat Organized- There’s a bit more management, but patients are placed in openings without any thought as to how they should be scheduled. The base schedule (patients who have an appointment for a planned procedure) is properly set, but emergencies are added Emergencies happen every day, and they must be handled correctly to prevent a schedule breakdown. There either isn’t a scheduling guideline, or it isn’t followed. This type of schedule can be very stressful as well, and the team can’t operate at the optimal level. Organized- An appointment coordinator or office manager is in control of the schedule allowing everyone to perform their duties more efficiently. In this case, fewer patients are scheduled, and there’s more time available for all team members to spend with the patients. Emergencies are planned for, and interruptions of the schedule are minimized. All employees have an understanding of how to book patients by maximizing production while providing excellent care. The key to an organized schedule is having a designated coordinator and guidelines based on how you want the day to be constructed. While doctor’s can be designated leaders, most offices find that having an appointment coordinator or office manager is the perfect way to keep things going smoothly. Besides, the doctors time is better spent focused on clinical tasks. Another important element of successful scheduling is a morning huddle. A morning huddle sets the tone for the day and allows the team to discuss each procedure and any anomalies in the schedule. Furthermore, meeting first thing ensures that everyone has an idea of what is going on in each room thus allowing them to plan accordingly. It also highlights any opportunities to fill open appointments with patients who are already coming in for treatment. Having an understanding of how to book patients and a coordinator to keep things flowing will have everyone ready to tackle the day with confidence and a smile. Talkative Tammy- Talkative Tammy is usually very nice and compliant with homecare. However, she never stops talking the entire time she’s in the office. She even talks with instruments in her mouth, and if anyone else enters the operatory while she’s there, she’ll talk with them for thirty minutes. You barely get her teeth cleaned and she leaves you so out of sorts and off-schedule that you don’t know which way is up! High Maintenance Mary- High maintenance Mary is the patient who, when you look at her chart, has an entire page listing her dislikes and preferences. Some of her necessities include rinsing with mouthwash before and after the procedure, no lying back, earphones, covering her eyes, no power scaling or x-rays, applying lip balm throughout the procedure, etc. The list is truly endless, and so are her demands. High maintenance Mary is an extremely particular patient who makes you see double while trying to keep a smile on your face! Grumpy George- Grumpy George is a tough nut to crack. He’s always mad about everything. If kept waiting even 1 minute past his appointment, he loses his mind. He never answers questions because he merely grunts, and he won’t be pleased with any treatment you provide. When George leaves, you need some soothing tea and encouragement. Always Late Larry- Always late Larry is usually quite pleasant, but always significantly late. He phones 10 minutes after his appointed time and says he’s “5 minutes away”. There is no such thing as 5 minutes away in dentistry. Five minutes is always at least twenty. He’s good at the game too. Even when you put on his appointment card that his appointment is at 3:30 when it’s really at 4 pm, he arrives at 4:30. Always late Larry leaves you exasperated and off schedule. Disorganized Debbie- Disorganized Debbie forgets everything. Often, she’s forgotten that she has an appointment. If she remembers her appointment, she’ll run into the office in the nick of time looking like she just leaped out of bed. She’s probably forgotten to premed and hasn’t brushed her teeth. She digs through her purse the entire appointment looking for something or stays on her phone talking and texting. She must also visit the restroom before and after the appointment. Disorganized Debbie is a human tornado leaving you in her wake and shaking your head. While not an exhaustive list, all offices have their classifications. Seminars dealing with difficult patients can’t even touch these cases. Fortunately, there usually aren’t too many in each practice, and these patients make us appreciate the great ones even more. Tetracycline staining and bleaching - is it effective? Tetracycline-stained teeth take longer to bleach than unaffected teeth, and the process can take 2 to 12 months to reach optimal results. Like “normal” teeth, tetracycline-stained teeth will lighten until they reach a plateau regardless of technique or product used. They will never become “white,” but they can lighten dramatically and look very nice when compared to the initial shade. The first few days of bleaching will usually produce noticeable whitening followed by no observable change for about one month. Therefore, patience is required. 10% carbamide peroxide worn in custom trays nightly is the method of choice for bleaching tetracycline-stained teeth. Carbamide peroxide remains active for 6 to 10 hours and delivers the bleach over a longer period than hydrogen peroxide. Using a strength over 10% doesn’t change the speed of whitening measurably, but it does increase sensitivity. 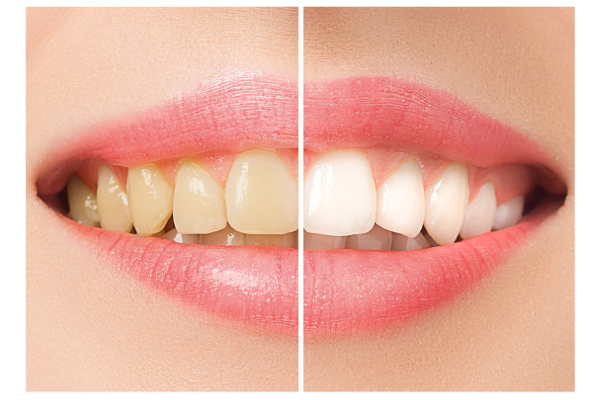 As with unaffected teeth, existing restorations will not change color with bleaching. Therefore, the patient must be advised that new restorations may be necessary after the bleaching process to match the new shade of their teeth. Tetracycline staining takes an extended amount of bleaching over time to achieve the desired results, so sensitivity must be considered. A low concentration of carbamide peroxide (10%) and a proper fitting tray is imperative. Potassium nitrate 5% which is found in over-the-counter desensitizing toothpaste is very helpful in managing sensitivity. The patient can brush with the desensitizing paste and/or wear it in the bleaching trays for 15 minutes daily to treat and prevent sensitivity. The patient must be made aware of the reality of bleaching tetracycline-stained Treatment takes longer, there is an ongoing cost, and the results vary. Many practitioners and patients choose the “single arch treatment” approach treating one arch at a time. Most patients prefer to begin with the upper arch. This plan can be more cost effective for the patient, and it also serves as a great motivator when comparing the bleaching arch to the untreated arch. Furthermore, sensitivity is reduced, wearing one tray versus two is easier on the TMJ, and it’s more comfortable for the patient. Bleaching is recommended before any other treatment such as veneer placement because the shadow of tetracycline-staining can show through veneers. Sometimes, after the bleaching is complete, the patient is satisfied with the results and decides against veneers. The bleaching process may have to be repeated over the years. It’s difficult to predict, but many patients do have to repeat the bleaching process after five It may or may not take as long with subsequent sessions. Bleaching tetracycline-stained teeth aren’t impossible, but it takes time, dedication, and patience to achieve the best results. The cost is far more than bleaching “normal” teeth, but it’s not ridiculously expensive. As long as the patient is realistic and compliant, it can be very beneficial and life-changing.